Items of note: None this month. It happens. In this installment: Lego DC Super-Heroes the Flash DVD, Adventure Finders vol 1, Black [AF] America's Sweetheart, Ms Marvel v2 #28, Moon Girl & Devil Dinosaur #29, The World of Krypton #1, Black Lightning Cold Dead Hands $5 (of 6), Deathstroke #29, Justice League #40-41, Future Quest Presents #8, Invader Zim #29, The Tick 2018 #3, My Little Pony Friendship is Magic #64, My Little Pony Legends of Magic #12 (of 12-ish), Transformers vs. Visionaries #3-4 (of 5), Transformers Lost Light #16, Atomic Robo the Spectre of Tomorrow #5 (of 5), The Comic Book History of Comics vol 2 #4 (of 4). Current Wait List: None, all caught up and no new hassles. If I didn't review it, it's because I either didn't want to read it, or didn't know about it. 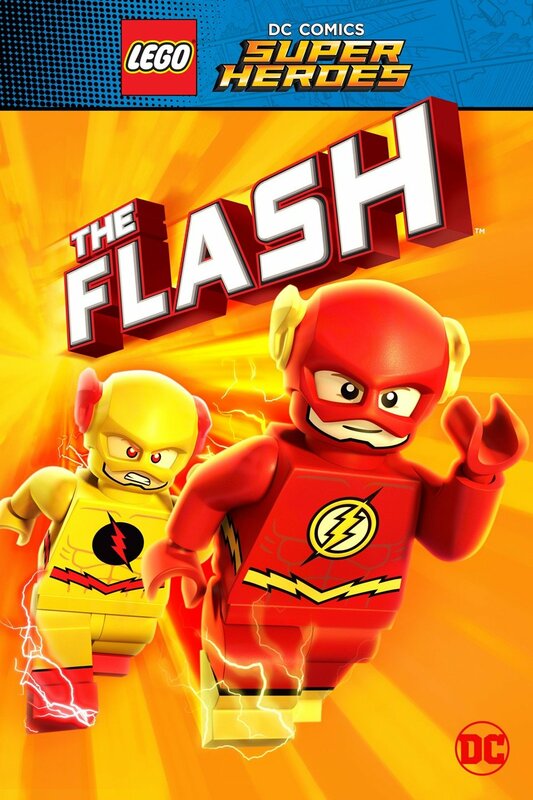 Lego DC Comics Super Heroes The Flash: DC/WB - The first conflict between Lego Flash and Lego Reverse Flash (plus introducing the Atom, Ace the Bathound, B'dg, a very funky Doctor Fate, and a yrev yrros Zatanna). By making these a series of direct to video movies instead of a TV series, I think they've managed to avoid the premise getting too stale, and the general attitude of the stories suggests you not get too hung up on continuity (i.e. don't go looking for earlier instances of Lego Flash doing things he" first learns" here...there might be some, but it's kinda counter to the tone to even ask). In some ways, this is a Lego update of Waid's "first" Eobard Thawne story, using the "embittered fanboy" aspect. But since Lego DC doesn't do subtle, RF goes full supervillain pretty soon after getting the adulation he seeks. This isn't as good as some of the previous Lego DC outings, but still worth the price of admission (which is $10-20 depending on format and store). Recommended. I didn't watch Krypton. I only got four episodes of Jessica Jones season 2 watched, I may or may not review it once I finish. It's not as engaging as season 1, though, as evidenced by the fact I watched four eps the first weekend it was out and then none since. Adventure Finders volume 1: Antarctic Press - AP made this available as a Freebie Friday, taking a cue from publishers like Baen by making part one free and inexpensive downloads of later parts. This is a Rod Espinosa series, and it definitely feels like one. Strong female protagonist who is on the edge of adulthood, strong but inexperienced and uncertain, wanting more than her upbringing has allowed her? Check. Vaguely European fantasy setting with tweaks here and there? Check. The Patriarchy being one of the antagonists? Check. Lovely art? Check. Unfortunately, the story feels like he's going through a checklist as well, or maybe filing the serial numbers off a computer FRPG's plotline. If you've never read any of Espinosa's works, but enjoy fantasy adventure stories, you'll like this. But I'd recommend Courageous Princess or Neotopia instead, because even if the later volumes go someplace interesting, the first volume hasn't really inspired me to read further. 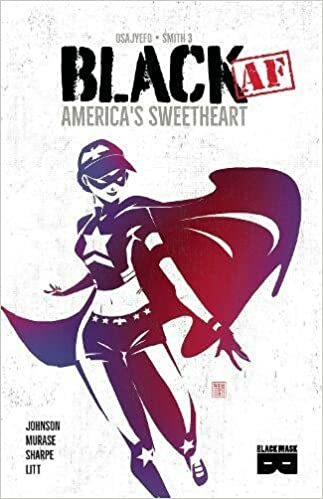 Black [AF] America's Sweetheart: Black Mask - I forget exactly where I saw this, probably facebook, but I put it on my Amazon shopping list as a "make it to free shipping" buy and ended up buying it this month. The Black Mask setting is one where superhuman powers started emerging fairly recently, but only among black people. (blacksuperpowers.com is their site.) Black Mask itself is definitely something of a rookie publisher, as evidenced by some of the unusual choices in paper stock and page count (76 pages for this graphic novella), as well as some formatting goofs (using staple-bound inner margins in a square bound book, so I had to crack the binding to see some of the captions and dialogue). The basic premise is "What if the super-powered baby that landed in the middle of flyover country from a mysterious place grew up to be a black girl instead of a white boy?" Her heroic ID is Good Girl, and she basically has Superman's powerset and All American heroic attitude. Her goal isn't just to help people, but also to try to work against the fear and bigotry being fanned by the whole "only black people have powers" thing. 96 pages might have been better for this story, given how much of the issue is given over to battling and arguing with her Marvel Cinematic Universe opponent (i.e. same powers but stronger, and with an opposing philosophy). She doesn't really get a chance to deal with her first PR setbacks before the fight scene starts, and I think another dozen or so pages of trying to dig out of that hole before being pounded into a literal hole. Osajyefo has some intriguing worldbuilding here, but the pacing is a bit uneven. Artistically, Jennifer Johnson appears to be drawing directly into the computer, and has chosen to avoid the use of black lines except for deep shadows and actual black clothing. I think the letterer might have done well to consider using dark brown or gray instead of black, as the word balloons look more out of place when they're the only black lines. The World of Krypton #1: DC - A freebie that reprints part of the mid-80s World of Krypton miniseries and then has a few teasers about the Krypton TV show. I'd never read the original comic, I might get the TPB at some point, it's kinda interesting. But it failed to sell me on watching the show. Justice League #40-41: DC - #40 is a sort of bottle episode, except the bottle is very doomed. So, I guess it's a lifeboat episode, as the two Justice League teams need to decide who lives and who dies, and whether to give The Fan the satisfaction of following his headcanon for the teams. Also, Ceiling Bat is watching you debate. #41 just sort of skips past resolving the cliffhanger of #40 and focuses on the more morally interesting aftermath, with a bit of a Deathstroke crossover. #41 is all about how it's hard to have principles, since the amoral and self-centered can really mess with you by applying leverage to those principles. But Priest comes at it from askew directions rather than the usual "...or the hostages die" sort of manipulation. Recommended. $2.99 each. Transformers vs. Visionaries #3-4 (of 5): IDW - A few days before I wrote this review, it was confirmed that the IDW "Hasbroverse" would be coming to an end, with all the crossover stuff ending and Transformers comics relaunching in a new universal stream. It really feels like Visaggio knew that before even starting this book, because it's full of low-impact deaths and a sense of futility. I guess I'll read the final issue next month, but even if I didn't know the end is coming, this series would have given that impression. Don't bother with it, even if you're a Visionaries fan. (Heck, why are you going to bring Visionaries back and not do the incantations?) $3.99 each. Dvandom, aka Dave Van Domelen, is an Assistant Professor of Physical Science at Amarillo College, maintainer of one of the two longest-running Transformers fansites in existence (neither he nor Ben Yee is entirely sure who was first), long time online reviewer of comics, is finally getting his house painted by a professional, is an occasional science advisor in fiction, and part of the development team for the upcoming City of Titans MMO. "And yet, if Rodimus was ever going to engage in a THEOLOGICAL CONVERSATION, this is exactly how it would play out." - Ultra Magnus as Rodimus yells at Primus, Lost Light #16.